Everything is automated these days. For Airbnb property managers, they know that vacation rentals are no different. It’s time for you to hop aboard the automation train. After all, despite regulatory issues threatening to slow Airbnb growth—“battles between tech companies and local governments have become formulaic” and commonplace, after all—the space remains a huge winner when it comes to overall growth. In fact, AirBnB is estimating earnings of approximately $3.5 billion a year by 2020. The sharing economy is developing rapidly and profit potential is immense. But if you’re not in line with the latest automation approaches, you’re going to get left behind. Here are some tips to automate your Airbnb properties. The check-in and check-out process shouldn’t be a hassle for you or your guests. In fact, this is one of the most crucial procedures and it will set the tone for your guests’ stays. First, cut down on key exchange nonsense! In the past, hosts could turn to the no-frills experience of hardware store-bought lock boxes for their check-in procedures. In that scenario, hosts simply provided guests with the lock box combination and location, and things were a “go.” This is a decidedly old-school approach that lacks modern convenience and requires physical keys. It’s out of place in the contemporary world. Electronic locks upped the ante by issuing electronic codes that eschewed the hassle of keys. Nevertheless, these were never an “intelligent” solution in the strictest sense, and it was difficult to manage codes on a per-guest basis or gain insight into relevant data points (tracking entry/exit, etc.). Smart locks eliminate many of the above problems. This solution gift hosts with the ability to control and track exactly who accesses the property, and it also utilizes time-sensitive access codes that easily adjusted on the fly. Such companies as August and Igloohome, are examples of a smart lock solution. Note that there are many options as part of the Airbnb host assist program. Smart locks are not an ideal solution for all vacation rental hosts. 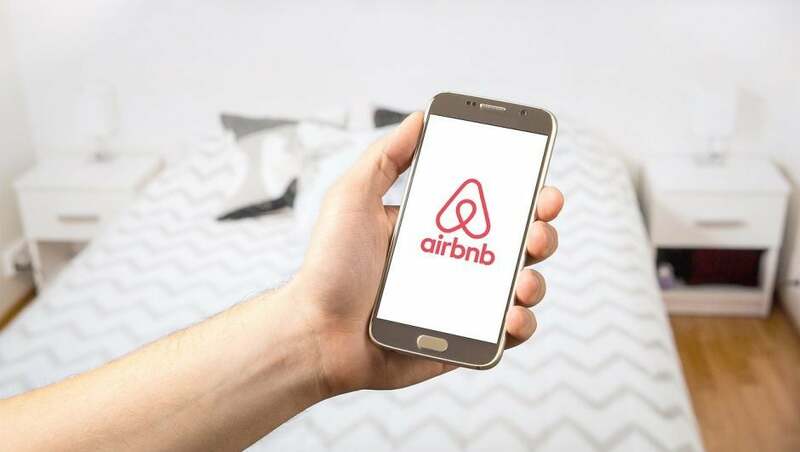 For these hosts, “Airbnb has been working with connected locks companies and key exchange companies to let you easily grant access to your apartment to your guests,” as Romain Dillet explains here. The key phrase above is “key exchange companies,” which offer a different approach to automation than smart lock companies. One such company is Keycafe. Plus, the service enables hosts to assign access to hundreds of keys from a single account, as well as receive real-time SMS notifications when keys are picked up. With powerful Airbnb automation software that streamlines check-in procedures, eases guest communications, supports easy multiple listings management, and offers team-wide management services, you can mitigate the headaches associated with day-to-day operations of your vacation rentals. When it comes to maximizing Airbnb operations efficiencies, hosts shouldn’t look solely to key handoff procedures. Instead, there’s also the entire process of tracking all rental locations and associated details to consider. These days, most of the property management companies use Airbnb management software for automating their day-to-day business. You’ll want to practice an advanced, 21st-century approach to guest communications every step of the way. This goes beyond check-in and check-out procedures as discussed above. Powerful Airbnb management software suitable for your business will enable creation of automated messages that are “triggered” at pre-set times, ferrying a message of your choice off to your guests at a date/time of your choosing. Additionally, your software choice can feature support for pop-up notifications—immediately alerting you when a message from a guest arrives—as well as single inbox support. A single inbox will funnel all guest chats/threads into a solitary feed, enabling you to swiftly reply to new messages, no matter the Airbnb account point of origin. These integrations will allow you to build customer relations and ultimately bolster client retention. Also known as multi-platform synchronization, this automation feature allows you to sync all your calendars to a single interface, enabling management of all your Airbnb properties—even those listed on disparate booking platforms. Syncing calendar data from TripAdvisor, Booking.com, HomeAway, etc., it’s all possible in a pinch with the right Airbnb automation software. Don’t overlook how important managing your cleaning staff and services. Keeping your property clean and fresh is of paramount importance to guests. Highly efficient Airbnb management software touts support for cleaning staff, enabling them to view their daily schedules and coördinate on specialized tasks (work orders). The system should be permission-based, meaning you can limit individual access to work orders and other functionality as you see fit. Advanced vacation rental software solutions don’t stop at catering to cleaning service workers. Instead, they provide a wide gamut of benefits to all your support staff. Permissions-based access for all staff is a cornerstone of any well-designed Airbnb automation software. Every person on your team should have the power and latitude to coördinate their activities and view and respond to duties on a per-booking basis. Does automation eliminate hard work? Unfortunately, no. However, if you perform due diligence, you can settle on automation software that does a lot of the work for you. Before you select a solution, find out more about each solution, read reviews, ask for product demonstrations, and perform a free trial if it is available.